a mistress of the craft of storytelling. Diane Setterfield is a British author. Her bestselling novel, The Thirteenth Tale (2006) was published in 38 countries worldwide and has sold more than three million copies. It was number one in the New York Times hardback fiction list for three weeks and is enjoyed as much for being a love letter to reading as for its mystery and style. Her second novel, Bellman & Black (2013 is a genre-defying tale of rooks and Victorian retail. 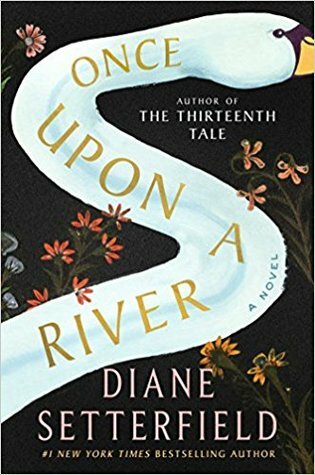 January 2019 sees the publication of her new title, Once Upon a River, which has been called 'bewitching' and 'enchanting'. Born in Englefield, Berkshire in 1964, Diane spent most of her childhood in the nearby village of Theale. After schooldays at Theale Green, Diane studied French Literature at the University of Bristol. Her PhD was on autobiographical structures in Andr Gides early fiction. She taught English at the Institut Universitaire de Technologie and the Ecole nationale suprieure de Chimie, both in Mulhouse, France, and later lectured in French at the University of Central Lancashire in the UK. She left academia in the late 1990s to pursue writing. Diane lives in Oxford, in the UK. When not writing she reads widely, and when not actually reading she is usually talking or thinking about reading. She is, she says, a reader first, a writer second.